2017 TOP COPS Award - Nominations Now Open! Don’t miss out on your chance to nominate a fellow officer for a 2017 Top Cops award! Every year NAPO, in conjuncture with the IBPO, gives police officers the chance to nominate their brothers and sisters in uniform for recognition of actions above and beyond the call of duty. In 2015, IBPO member Police Officer II Toofan C. Shahsiah out of the Norfolk, VA Police Department was an award recipient. We ask that you assist us in spreading the nomination form around to all that may be interested, as we would like have even more IBPO nominations than last year! The nomination forms can be found here. 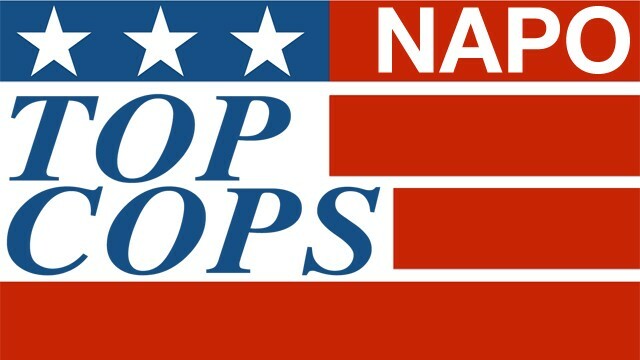 It is the goal of NAPO/IBPO to see all 50 states represented in nominations this year. The 24th Annual TOP COPS awards dinner will be held on Friday, May 12, 2017 at the Omni Shoreham Hotel in Washington, D.C. This event is held during the celebration of National Police Week. Tickets to the event should be purchased in advance, as this event does sell out. Thank you in advance for your support of the 2017 TOP COPS award!